First Day of My Life: Congratulations from Mickey & Minnie! 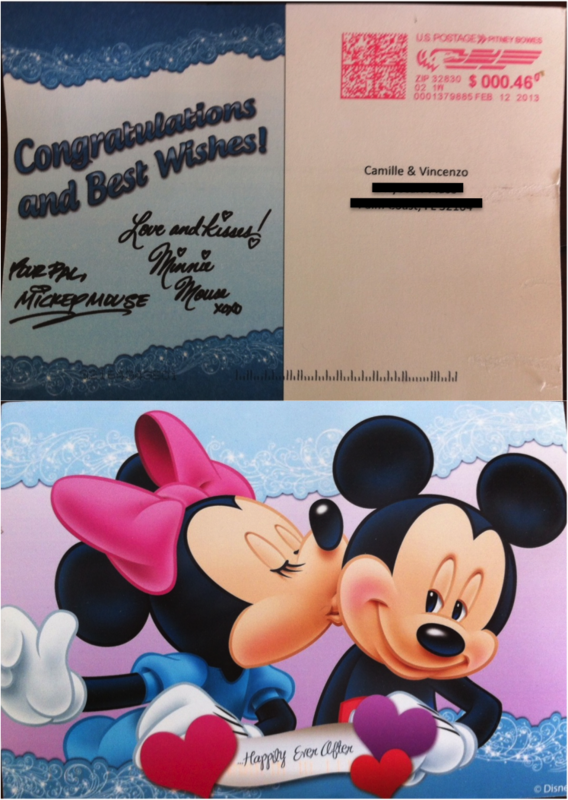 Congratulations from Mickey & Minnie! Just stopping by to say I hope you have an AMAZING wedding weekend!!! I'm sure you are going to be a stunning bride. Congratulations!! !